Obtain a timeless addition to your collection with this Marc Jacobs® watch. Round stainless steel gold-tone case. Gold-tone sunray dial face features glass crystal dot indexes and brand name. 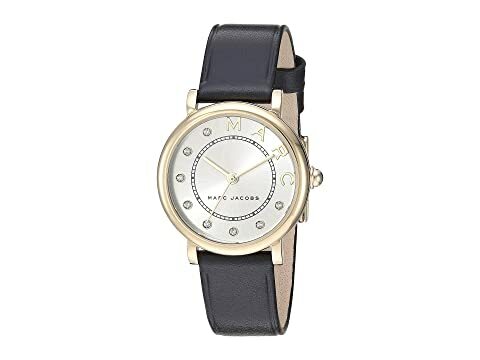 We can't currently find any similar items for the Marc Jacobs Classic - MJ1641 by Marc Jacobs. Sorry!